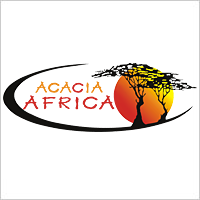 Acacia operates a variety of tours across Africa from multi-country overland safaris andsmall group packages, to city stays and adventure activity breaks. Comprehensive inclusive itineraries, well equipped purpose built Mercedes vehicles and experienced crew. Feejee Experience is a coach network developed specifically for backpackers and like minded independent travellers, allowing you to ‘get on and get off’ whereever you please along the way. Fez Bus is a coach network developed specifically for backpackers and like minded independent travellers, allowing you to ‘get on and get off’ wherever you please along the way. We offer small group adventures to spectacular and remote areas with a degree of comfprt but without compromising the sense of adventure. Geckos offer small group adventures for those who enjoy ‘grassroots’ style travel particularly catering for the younger, budget traveller. One of the leading adventure travel operators. You will travel in small groups of no more than 15 with a highly experienced tour leader. Legendary hop-on hop-off backpacker bus adventures. Kiwi Experience New Zealand bus tours offer the trip of a lifetime for travellers of all ages. Oz Experience offers flexible hop-on hop-off bus travel across Australia for backpackers and 18-35 year old travellers. Our knowledgeable guides will get you to all the iconic Australian locations including Cairns, Fraser Island, Whitsundays, Uluru, The Great Barrier Reef and more! Travel where you want and when you want. Baz Bus is a coach network developed specifically for backpackers and like minded independent travellers, allowing you to ‘get on and get off’ wherever you please along the way.